Jacksonville FL. - A new activity in Jacksonville has arrived this month and just in time for Spring Break. Kraken CycleBoats announced that its pedal boat party tour is now in the River City area! The 'booze boat' lets passengers pedal at one of 10 stations set up around the bar on a boat while enjoying a frosty beverage. The company says the parties are perfect for brthdays, bachelorette and bachelor parties, and team building. Each two-hour boat tour will start at Friendship Park on the St. Johns River in downtown Jacksonville. Weekday tours cost $35 per person and weekend tours cost $39 per person. Passengers buying individual tickets must be 21 or older. "Our CycleBoat will have you floating up and down the St. Johns River, allowing you to take in the incredible sights of downtown Jacksonville, as well as catch a glimpse of the dolphins that cruise the waterways!," the Kraken Cycle Boats website explains. For more information, or to sign up, visit https://www.krakencycleboats.com. March 9th is the deadline for Jaguar season ticket renewals. The Jaguars tweeted that this upcoming deadline was due to the high demand for season tickets. This will be the first season since 2005 that fans will not see any tarps covering seats. The stadium removed the tarps for the Jaguars first home playoff game in 18 years in January, when the team sold out the stadium with an announced attendance of 69,442. Those tarps had been in place for over 10 years. EverBank Field will also be known as TIAA Bank Field later this year. TIAA Bank Field will be the official name of its home stadium, replacing EverBank Field.The name change comes after the sale of EverBank to TIAA in June and the new parent company will be renaming all EverBank locations as TIAA Bank. The name change must be officially approved by the city of Jacksonville and the Jaguars before they can tear down the signage on the front of the building and replace it with the new name. The former Pizza Palace, a culinary staple on the Square for 27 years, is now Seafood Island Bar & Grille. This third outlet of owner Charley Akel’s Seafood Express & More brand, which has locations on the Southside and Northside, opened Dec. 15 with a decidedly more island flavor and paint job. The red-and-yellow façade and thatched-umbrella patio tables stand out among its San Marco Boulevard neighbors. The expansive menu, available daily for lunch and dinner, offers no shortage of exotic appetizers, including frog legs and gator tail nuggets. You’ll also find a variety of fish and shellfish brought in every three days — most available fried, grilled, blackened or broiled — along with combination platters, soups, sandwiches, pastas and steak and chicken plates. Entrees come in lunch, dinner and “lite” portions, the last resembling a lunch-sized dinner, as well as daily lunch specials. Gluten-free patrons can ask for their fish to be grilled on a separate cooking surface. The St. Augustine Amphitheatre welcomes country music superstar Brad Paisley and his “2018 Weekend Warrior World Tour” featuring special guest Chase Bryant on Saturday, March 10, 2018. Tickets for Brad Paisley featuring special guest Chase Bryant will go on sale Friday, December 8 at 10 a.m.
Country music superstar Brad Paisley has announced the continuation of his highly successful “Weekend Warrior World Tour” with dates added in 2018. The 27-date tour will kick off on January 25 in Los Angeles at the Staples Center and includes a stop at the St. Augustine Amphitheatre on Saturday, March 10. Special guest will be RED BOW Records hit-maker Chase Bryant. The Stuffed Beaver is located in the 1,364-square-foot Delgato building with 15 tables at 2544 Oak Street. They will serve traditional crepes as well as other Canadian treats and will be open from 11 a.m. to 7 p.m. Monday through Friday. The Stuffed Beaver location is close to St Vincents Hospital and walking distance to the popular Five Points and King Street commercial districts. The new restaurant will also serve a variety of Parisian-style salads and sandwiches as well as several varieties of French Canadian poutine dishes- gravy and authentic Quebec cheese curd-topped french fries. They will also offer a Canadian delicacy called 'beaver tails' that uses fried dough shaped like beaver tails that are doused with a variety of toppings like powdered sugar, cinnamon and nutella. The Delgado Building, a structure built in 1919, was previously home to longtime neighborhood staple, Judson's Restaurant. Jaguars football is over and filling its place in my heart is UNF basketball. Yes, the University of North Florida Ospreys are looking to do some damage in the Atlantic Sun Conference and even make this year's NCAA tournament. 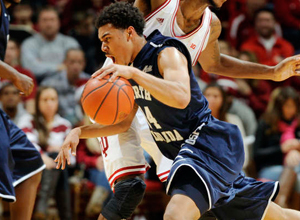 So far in their 2013-2014 season, the Ospreys are 9-8 on the season, 3-1 in conference play as they host Florida Gulf Coast University (9-7, 3-0 ASun) on Thursday night at 7 p.m.
UNF senior Travis Wallace, who earned A-Sun Player of the Week last week, leads the Ospreys averaging 12.2 points and 7.2 rebounds per contest. Finishing with 15 points at Northern Kentucky University, Wallace is the ninth UNF player to reach 1,000 career points. The Ospreys aim to extend the six-game home streak alive from the Eagles, who currently hold a 9-7 all-time lead between the two teams. After Thursday's game, North Florida will wrap up their home game series on Saturday against Stetson. It was just a few days ago that we saw Michigan State’s online store selling Rose Bowl gear with the wrong final score – but hey, at least they still had the Spartans winning the game. 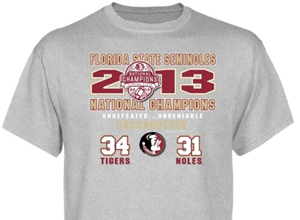 Florida State’s official website is offering t-shirts Tuesday morning that claim the Auburn Tigers actually won the BCS National Championship Game, 34-31. Ponte Vedra Beach, Fla. – THE PLAYERS Championship is pleased to announce that its Birdies for Charity program will return for the 2014 tournament, running from January 6 – May 7. The program gives local non-profit organizations the chance to fundraise while fans have the chance to win a prize by guessing the number of birdies that will be made during THE PLAYERS 2014. 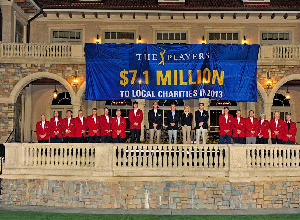 THE PLAYERS returns to THE PLAYERS Stadium Course at TPC Sawgrass, May 6-11. GAINESVILLE, Fla. Via Gator Zone - Kurt Roper was one of five finalists this season for the Broyles Award, given annually to the nation's top assistant coach. 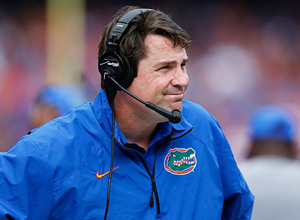 Gators coach Will Muschamp and Florida fans would like nothing more than for Roper to repeat as a finalist in 2014. Muschamp made it official Thursday morning, announcing he has hired Roper as the Gators' new offensive coordinator and quarterbacks coach. "I'm excited to have Coach Roper join our staff," Muschamp said. "He has a diverse, up-tempo background on offense and does a good job of adapting to what the players do best. The most important thing though is he has always remained balanced. "He has had success calling plays in the SEC and has tutored three NFL quarterbacks. He has had players produce at every offensive position and he is one of the most well-respected coaches in the country." Roper has spent the last six years as offensive coordinator at Duke under Blue Devils coach David Cutcliffe, a longtime mentor. Roper has worked with Cutcliffe every season but one since 1996 when he joined Tennessee's staff as a graduate assistant and Cutcliffe was the Vols' offensive coordinator. CHICAGO – ESPN and the Arena Football League (AFL) have agreed to a multi-year agreement beginning in 2014. The new deal grants ESPN rights to more than 10 regular season and postseason games on its television networks per year, including ArenaBowl and one conference championship game, as well as 75 or more games annually on ESPN3, ESPN’s live multi-screen sports network. ESPN’s video player will also be available on the AFL website, ArenaFootball.com. The relationship between the AFL and ESPN began more than two decades ago when ESPN televised the very first ArenaBowl live in 1987. Since then, ESPN televised a combination of AFL regular season and playoff games for five years (1995-99), AFL playoff games from 2000-02 and both regular season and playoff games from 2007-08. Additionally, ABC presented the ArenaBowl for five years from 1998-2002. 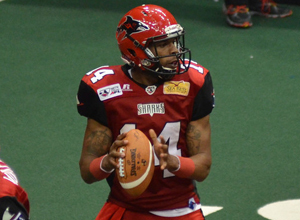 “ESPN has a long history of working with the Arena Football League and this new agreement is a great opportunity to showcase the AFL as part of our year-round commitment to football,” said Matthew Volk, ESPN director, programming and acquisitions. 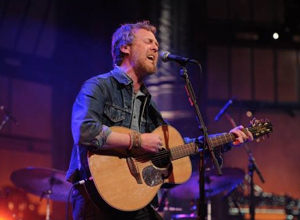 Best known for his music for Once, the musical and the movie, songwriter Glen Hansard will perform at the Ponte Vedra Concert Hall on Thursday, February 5, 2015. Hansard is also the principal songwriter and vocalist for the Irish group, The Frames, who have become one of the most influential bands in Ireland. Hansard’s role as the band’s front man along with his ability to write real-life songs has earned him an excellent reputation in the music industry. Once, The Musical won eight Tony Awards, including the top prize for music. The musical is based on the movie, Once, which featured original songs by Hansard. One of these songs, “Falling Slowly,” won an Academy Award in 2007 for both Hansard and for his partner on the song, Czech singer Marketa Irglova. Together, the duo perform under the name Swell Season, and released an album in 2009. Hansard recently released his first solo album, Rhythm & Repose, to critical acclaim. 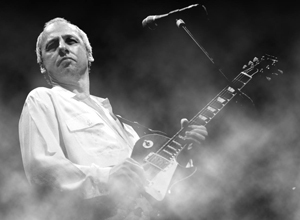 St. Augustine, FL (January 26, 2015) – The St. Augustine Amphitheatre welcomes Mark Knopfler, one of the most celebrated British guitar heroes to emerge in the 1970s and 1980s, on Tuesday, October 27, 2015. Tickets go on sale to the general public this Friday, January 23 at 10 a.m.
A multiple Grammy award winner as the lead vocalist and songwriter for Dire Straits, Knopfler has released seven solo albums as well as recording Neck And Neck with one of his guitar heroes, Chet Atkins and collaborated with Emmylou Harris on All The Roadrunning. He has created soundtracks for Local Hero and The Princess Bride and is currently workingonanewfilm,Altamira. InadditiontoproducinghisownrecordsKnopflerhasalsoproducedalbumsforBob Dylan and Randy Newman amongst others. He was made an OBE in 1999 and was given the prestigious “Lifetime Achievement Award” at the Ivor Novellos in 2012. The St. Johns Cultural Events Division proudly announces the Spring 2015 Sing Out Loud Series lineup, featuring six concert events to be held at the Colonial Quarter in downtown St. Augustine. Tickets for each concert event will go on sale this Friday, January 23 at 10 a.m. The Sing Out Loud Series, also known as the SOL Series, is a celebration of national and local songwriters. The first SOL Series was held in November 2014 and featured performances by Randy Newman, Justin Townes Earle and more. The Spring 2015 Series welcomes an eclectic lineup of performances ranging in musical style from zydeco to rockabilly, garage rock to Americana. 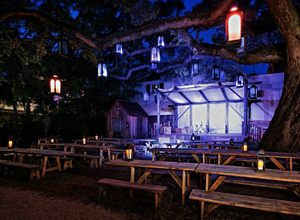 All six SOL Series performances will be held at the Colonial Quarter, 33 St. George Street, downtown St. Augustine. 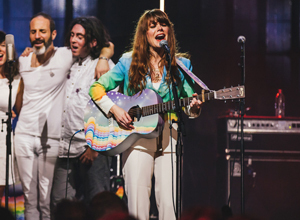 Ponte Vedra Beach, Fla. (January 20, 2015) — The Ponte Vedra Concert Hall proudly announces that indie country rock singer-songwriter Jenny Lewis will perform on Saturday, May 9, 2015. Tickets for Jenny Lewis will go on sale to the public this Friday, January 23 at 10 a.m.
JACKSONVILLE, FL – (Jan. 19, 2015) -- EMI Nashville recording artist Eric Church will bring “The Outsiders World Tour” to Veterans Memorial Arena in JACKSONVILLE, FL on March 27, 2015. Tickets go on-sale Friday, January 23 at 10AM at www.ticketmaster.com. Special guest on this show will be The Cadillac Three. 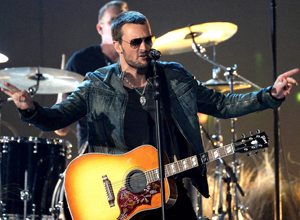 After closing out 2014 with country music’s top-selling album, the Platinum-certified and genre-busting The Outsiders, Eric Church storms in to 2015 with four GRAMMY nominations (Best Country Album for The Outsiders, Best Country Song and Best Country Solo Performance for “Give Me Back My Hometown” and Best Country Group/Duo Performance for “Raise ‘Em Up” with Keith Urban) and a new addition to his widely successful Outsiders World Tour 2015. 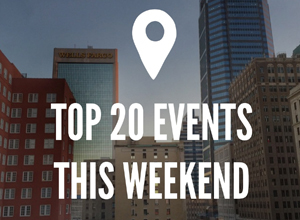 Looking for something to do this weekend around Jacksonville? There are plenty of fun options! 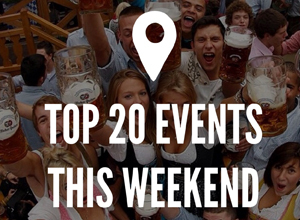 Check out the complete list below. 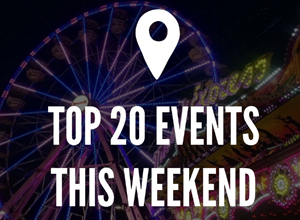 The fair is also in town all week til Sunday, November 16th at the Fair grounds! Friday, November 14: O.A.R. with special guest Andy Grammer live at the St. Augustine Ampitheatre - Gates open at 5:30 pm, Show at 7:00 pm. Friday, November 14: Dirty Heads W/ Rome & Makua Rothman live at Mavericks at the Landing – Show at 6pm. Friday, November 14: Ricky Nelson Remembered Starring Matthew & Gunnar Nelson Live at the PV Concert Hall – Doors open at 7:00 pm, show at 8:00 pm. Saturday, November 15: Justin Townes Earle with Cory Branan live at the Colonial Quarter Saint Augustine - gates open at 7:00 pm, Show at 8:00 pm. 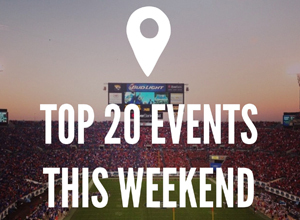 Looking for something to do October 16th - 19th around Jacksonville? There are plenty of fun options! 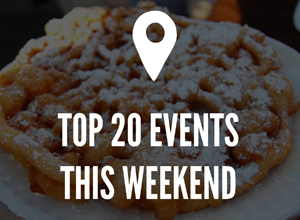 Check out the complete list below.